Alas, it’s the end of this gin month. And what better drink to finish of the month than the classic, the drink that made an empire: the Gin and Tonic. It’s a simple cocktail, but it’s incredibly refreshing and open to lots of variation. The Gin and Tonic was instituted by the East India Trading Company’s occupation in India. Malaria prevented the British from really gaining a stronghold in tropical regions. Quinine, a compound found in the bark of the cinchona tree, was found to have anti-malarial attributes, and so was quickly made into a consumable substance. Quinine is inherently very bitter, so soldiers mixed it, dissolved in water, with gin, lime, and sugar. As the British Empire spread, so did the Gin and Tonic. Now it can be found just about everywhere, and is one of the quintessential spring and summer drinks. I decided to take the classic and riff on it a bit by adding the freshness and herbal notes of cucumber. It’s simple: fill a tall glass with ice. 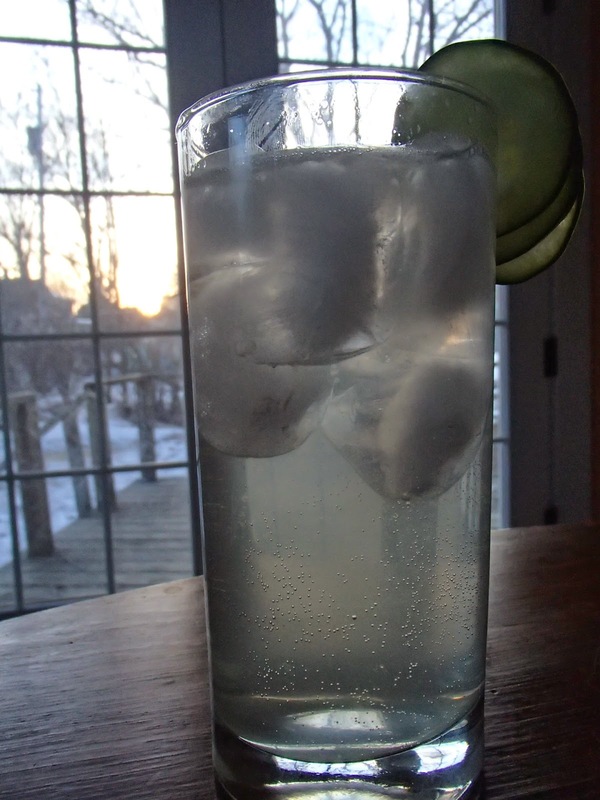 Build the drink in the glass by first putting in the gin, then the cucumber syrup, then the lime. Be very careful with the lime – you only want a little bit of juice, or the lime will quickly overpower the cucumber. Then top off the glass with tonic water and stir. 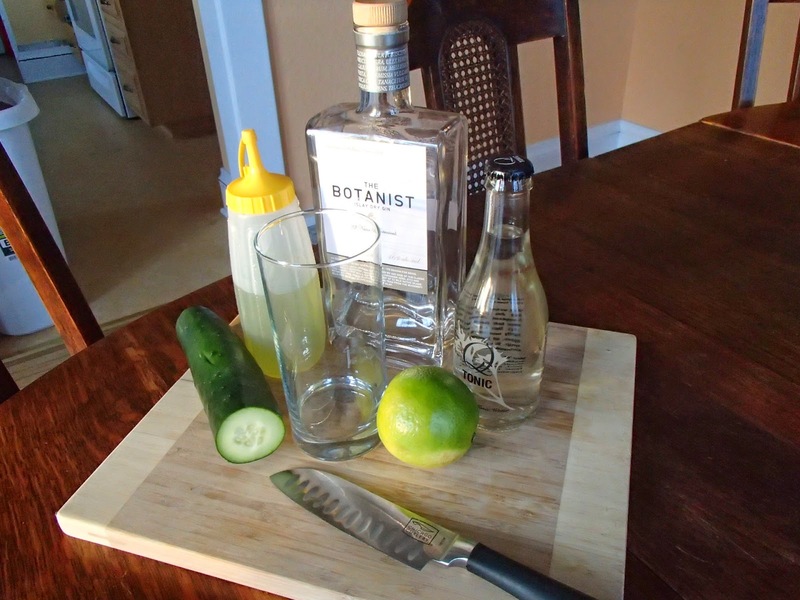 Garnish with some cucumber slices, and you have yourself one classy drink. Ignore the snow on the ground, goodness knows I’m trying to. There is nothing more refreshing than a good Gin and Tonic, and this is no exception. The cucumber syrup adds both sweet and a subtle herbal taste that augments the natural herbal characteristics of the gin. 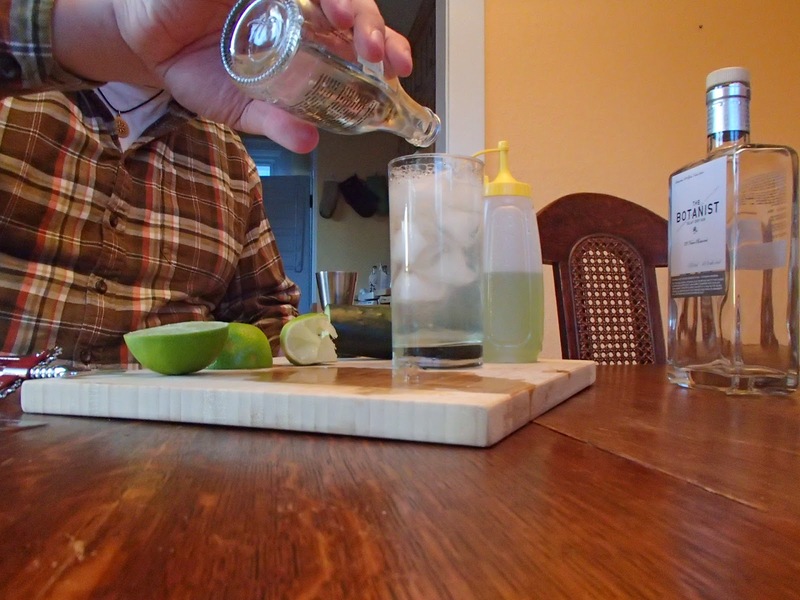 The bitterness of the tonic keeps the finish dry, and the lime adds a hint of freshness that puts the drink over the top. And hey, you get the added benefit of protection from malaria. It’s hard to go wrong with a classic like the Gin and Tonic. And feel free to try your own spin! If you come up with fun flavors or variants on this or any other drink featured here, or you have a drink you want me to make, or you just want to talk, leave a comment below or send me an email at alex@stagandotter.com. 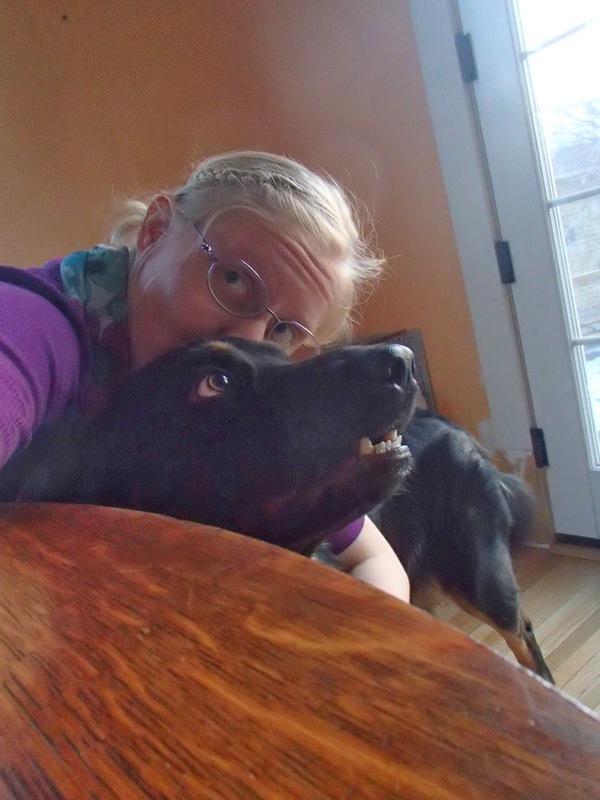 My wonderful photographer and wife, and Griffin, our gigantic puppy! Thanks for your help! Next month we’ll be moving on to our next spirit of the month. I don’t know what that will be yet, so if you have any requests, feel free to leave them in the comments. Thanks for reading!